The goal of any business is to make more money, and the only way to accomplish this goal is to develop a high performing lead generation program with professional freelance copywriting services. At its core, lead generation is a lot like a romantic relationship. You and your potential customer meet and agree that you both would be better together. You can use a number of online marketing tools for small business to help you find the right content to include on your landing pages. After the first prospecting stage, your business needs to build a relationship with your customers to ensure their hearts and minds are aligned with yours. The road towards a sale is often long and windy. Just like a personal relationship, your business needs to focus everything you have on your customers. The result of an active lead generation program is to develop mutual relationships where your customers exchange their money for your products and services. There are many moving pieces that your company needs to use integrate if you want to build a profitable system to gather, identify, qualify, and convert leads. However, copywriting is where the “rubber meets the road” throughout the entire lead generation process. No matter how great your website is designed or even how easy it is to navigate your website; your online audience will lose interest if they are not interested in your message or offer. Copywriting has become even more critical to the success of your business as your customers research more before each purchase, and as Google and other search engines continue to change their algorithms. The changes to search engines and some research customers do before a purchase means that you need amazing content that attracts customers and leads them through the lead generation cycle. 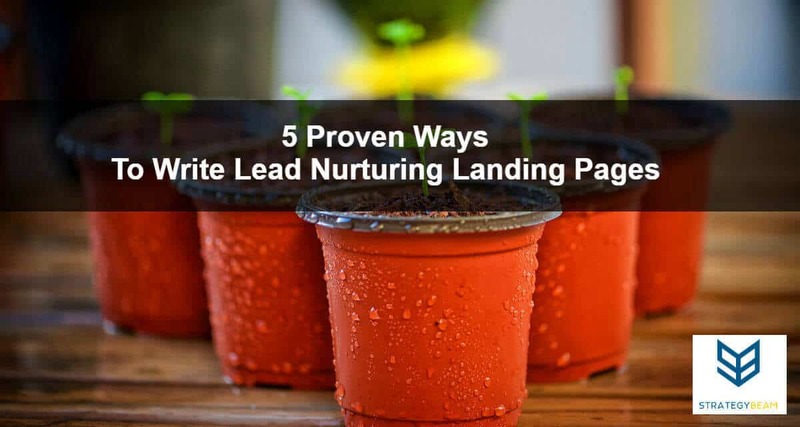 One of the most common pieces of content used to drive lead generation are landing pages. These are perfect for both B2C and B2B marketing initiatives because great landing page was copywriting will drive best practices for messaging, design, and the overall success. Excellent landing page copywriting is the backbone for the success of your lead generation efforts. Copywriting on your landing page is what sets your product and service apart from your competition. Whether you are looking to have people fill out a form, signup for an ebook, or some other CTA. 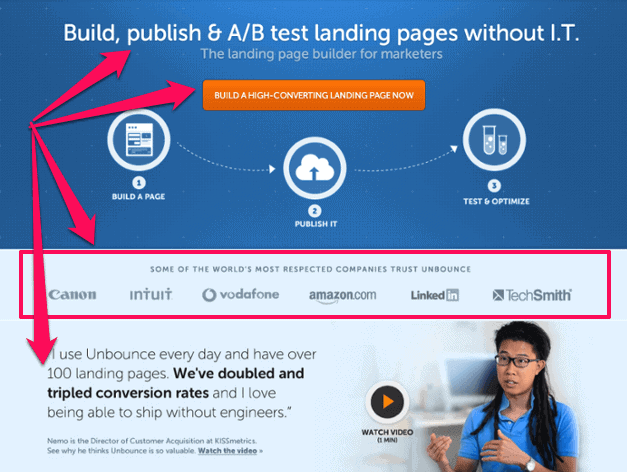 Each of your landing pages should be optimized to drive conversions. There is a lot of information available on how to optimize landing pages, but here are 4 of the most powerful ways you can optimize your landing page content for lead generation. Curiosity is a great driving factor to ensure your customers will remember your brand and retain their interest. 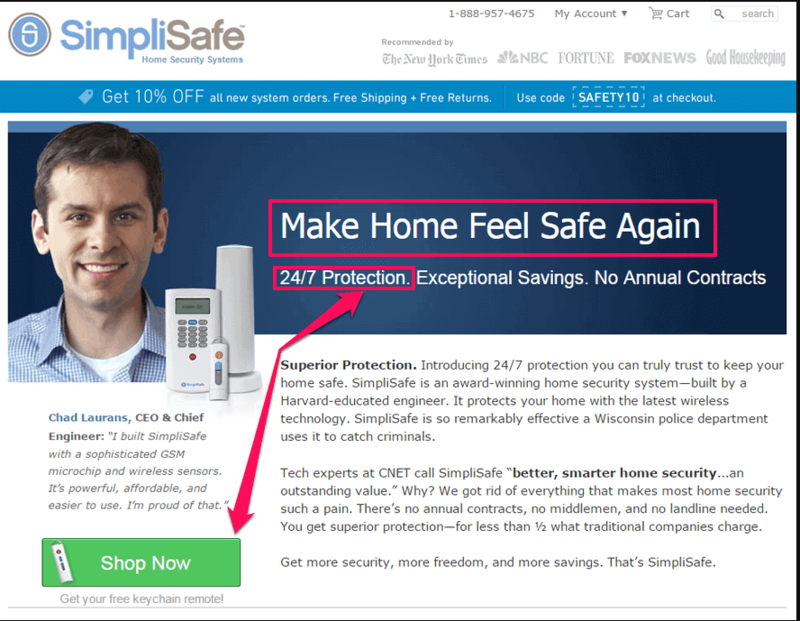 The first thing you can do to build great landing pages is to make a “curiosity gap.” This is the space between what your customers understand and the amount of information you provide. In this gap, you will find high engagement and high time-on-page. This is also the space you can begin building yourself as a thought leader in your industry. Feature a question in your copy. Questions beg answers, and people love to find answers to their questions, even if you ask them. You can host an essential question that aligns with your business goals. Take a bold stance. Take an unusual or controversial position on the topic available. By going contrary to the standard, you’ll pique readers’ interest and make them question why you came to a decision. Keep content short at the top, but with a longer tail. This is to ensure your readers are invested in your product and service before you share too much information. People want to do business with individuals and not just businesses. Today’s buyer has more options than ever before, so your business needs to build a relationship with your customers. Your link will help move your business from an economic exchange to an emotional exchange, and that will help your business have top of mind. The best way to connect with your customers on an emotional level is to create content that makes your customers know you understand them. Generating leads with landing page copywriting combines your readers with aspects of your business beyond just price. Speak the language of your customers. Research your buyer demographics, how they communicate, what words they use, and industry jargon. Incorporating these words that are familiar will reveal a deeper amount of comprehension of your audience, their needs, as well as the way in which they express themselves. Know your customers’ pain points and desired gains. What do your prospective buyers need to achieve? What stands in their way of attaining that aim? As on converting a remedy to these pain points to drop a positive light, frame your offer. Your customers are only interested in your products and services because of how you will benefit them. Be sure to speak to the characteristics and expertise that your company offers and help them understand what’s in it for them. Frame the features of your product offerings regarding advantages you provide to your customers. Value is based on saving time or saving money. This means you should focus on these benefits so you can position your business as the best choice for the needs of your customers. For example, a great ebook landing page would generate leads if it emphasizes how the book will increase sales or boost revenue. People hate the feeling of losing out on something, and many of your customers will go out of their way to save an opportunity from escaping them. This is where you can use urgency to drive the need to generate leads for your business. Your landing page should emphasize the fact that there are a limited amount of time, copies, or spots for them to acquire. Your company can use urgency as an essential piece of your landing page copywriting optimization strategy to increase conversion and generate more leads. When writing you should emphasize the benefits of your product or service for your customer. Explaining how features help your readers connects their problems with the solutions they desire. A feature without a benefit is nothing. No one cares how much processing power a computer has because they care about what that processing power means for them. The 24-hour services your business offers is meaningless unless your customers understand how that 24-hour service benefits their business. Your copy needs to target your specific audience and convey benefits in a clear and concise manner. Every sentence needs to point towards the benefits your company offers your customers. Benefits should always show how your clients can save either money or time. If your business is ready to attract more qualified leads and convert those leads to drive sales, then you need to integrate professional copywriting into your marketing mix. Focus on the needs of your customers and speak to them with honesty and you will find success as you grow your online business! Fill out the simple form below if you are ready to take the next steps to grow your business!